After receiving a tip from the public, police discovered a massive cannabis farm. Probably the biggest residential grow you’ve ever seen. Northamptonshire police in England recently discovered a large cannabis farm after receiving a tip-off from the public. So large in fact, that there were roughly 12 rooms with plants reaching well over six-feet. If you think you’ve seen a huge bust when it comes to residential grows, you haven’t seen anything yet. Be sure to check out the video below and brace yourselves for perhaps the biggest let down of your day. After receiving the tip-off, Northamptonshire police raided a residential property and discovered a massive cannabis farm. In fact, the farm was so large that the police are describing as being on an industrial scale. 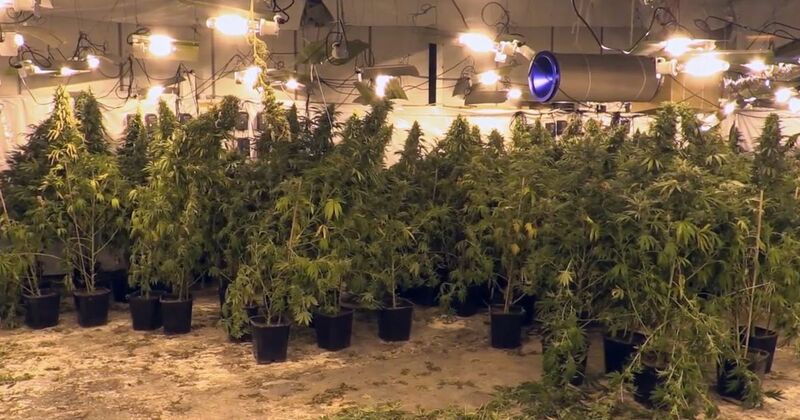 Not only did the cops discover 12 rooms filled with plants reaching over 6 feet tall, but they also found cultivating equipment worth hundreds of thousands of pounds. As can be seen in the video, the setup is quite impressive. Of course, it didn’t take the cops very long to put five men under arrest on suspicion of cultivating cannabis and took them into custody. But that’s not even the worst part.